Happy Canada Day! I know it’s not a religious celebration, but I just couldn’t resist the quote. Over the years I’ve taken a lot of flak from dinner guests who accuse me of stuffing them full of fresh bread until the can’t eat the main course. It’s not my fault if my bread tastes good. Would they prefer it to be bad? But there is one area where I can take justifiably take the hint. It’s hot dog buns. 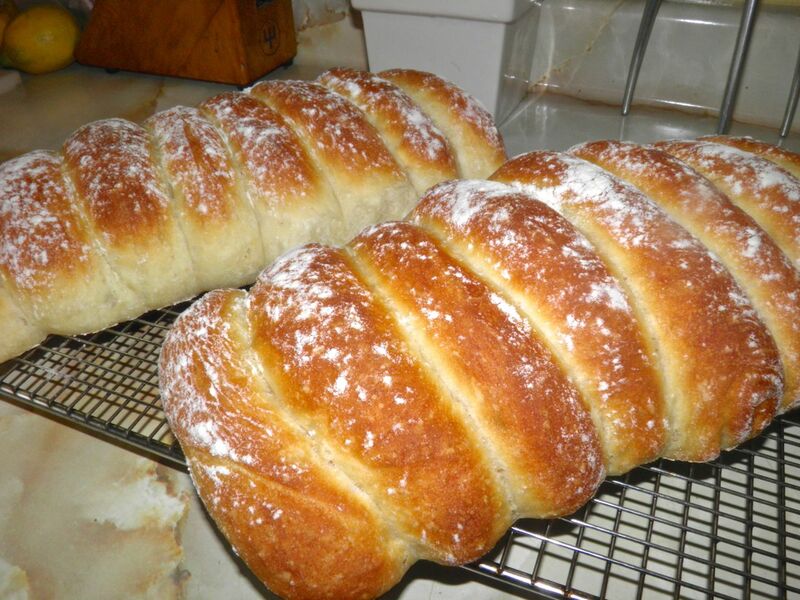 Most homemade buns (and mine included) give you just a little too much bread. By the time you’re finished one hot dog or sausage you’re full. If there was only a way to make them smaller while at the same time keeping enough height to still encase all those delicious condiments we all want to pile on top. There is. You use a little less dough (obviously) and then “crowd” them. Crowding the buns forces them to go up rather than outward when baking, making for a very narrow bun with a good deal of height. I had just the task at hand to prove if these would work. On Sunday we had a Canada Day barbecue. I had made Canadian and Cantalupo sausages. Something special was called for. 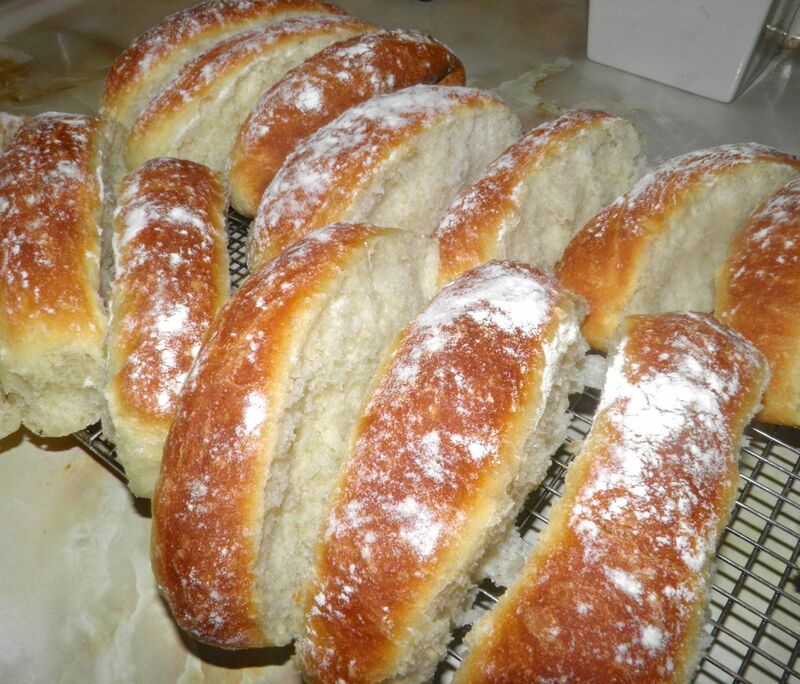 Have you ever had potato bread? My spouse has made sweet potato buns a couple times in the past. They always turn out very light and moist. A little investigation proved that to do similar with regular buns you simply add dehydrated potato flakes. My ratio was 4 cups flour to 1 cup potato flakes. The amount of dough turned out just right for 16 hot dog/sausage rolls. They were light, tender and flaky. I know that there’s no time for us Canadians to do them for our celebrations, but the 4th of July is coming up and summer is stretching ahead of us. There’s plenty of gatherings to come. At the risk of breaking my arm patting myself on the back, you should try these. They’re really quote good. Combine all the dry ingredients in a large bowl. Add the wet and mix well. 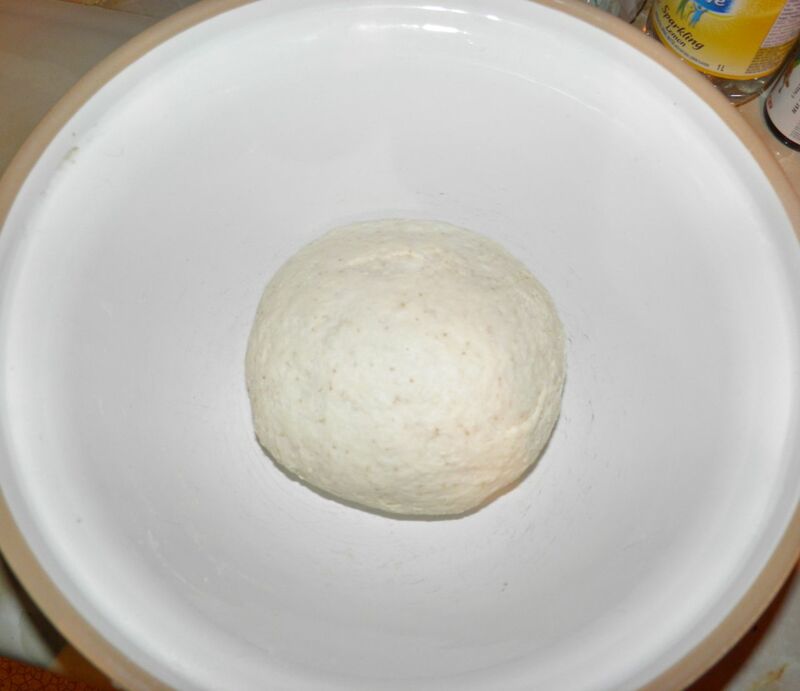 Knead for about 5 minutes, until it all comes together. The dough will be quite wet. Cover with plastic wrap and a towel and let rise overnight. 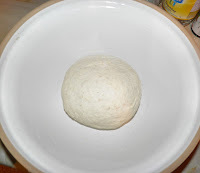 In the morning punch the dough down and place it on the counter. Line an 11 x 17 baking sheet with parchment paper. 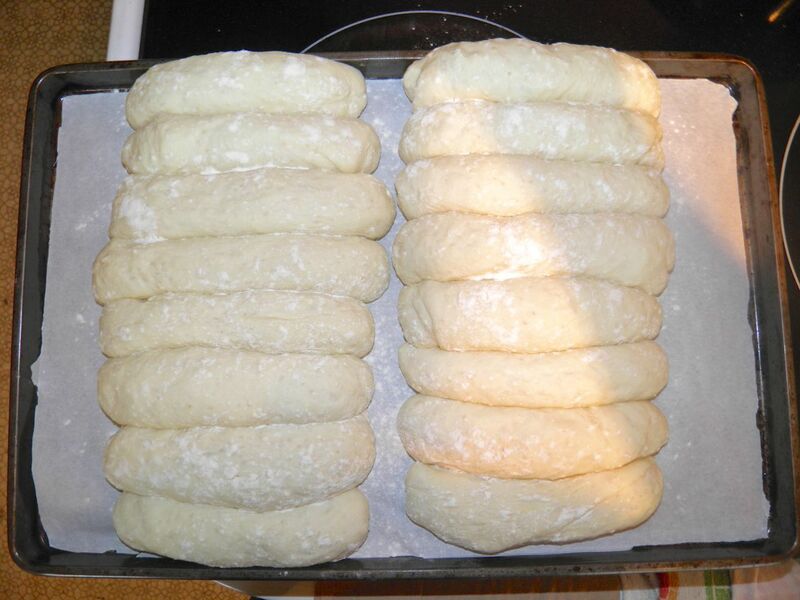 Using just enough flour so it doesn’t stick, divide the dough into 16 equal pieces, Roll each piece of dough into an equal thickness log about 6” long. Let proof again until doubled, about 1 to 1.5 hours. Preheat the oven to 400°F with a pan of water on the lower rack. Bake the buns for 25 minutes, removing the water bath after the first 10 minutes. Once baked, remove the buns and parchment to a cooling rack and then slide the parchment out from underneath.